Trump declares some notes cited in Mueller report "total bullsh**"
It was facetiously billed as the "show about nothing," but the editors of TV Guide rank the NBC smash comedy hit "Seinfeld" as the greatest television show of all time. The 1990s show starring comedian Jerry Seinfeld as a New York comedian hanging out with three of his pals -- Elaine, George and Kramer -- topped TV Guide's list of the 50 most entertaining or influential television series in American pop culture. The list, appearing in next week's issue, will get the countdown treatment in an ABC special on May 13, "TV Guide's 50 Best Shows of All Time," part of the magazine's celebration of its golden anniversary. 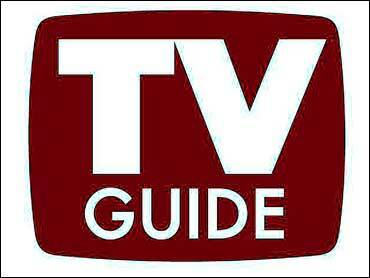 The 50 entries, chosen and ranked by TV Guide editors, consist of regularly scheduled series spanning more than a half century of television, going as far back as NBC's pioneering live comedy/variety program, "Your Show of Shows." That show, which debuted in 1950 starring Sid Caesar and Imogene Coca, was ranked No. 30. TV movies, miniseries and specials were not eligible. Prime time accounts for most of the shows, though a few daytime programs made the list -- NBC's "Today" (No. 17) and the syndicated talk shows "Donahue" (No. 29) and "The Oprah Winfrey Show" (No. 49). On the late-night front, the CBS "Late Show with David Letterman" got the highest ranking, at No. 7, beating out even NBC's "The Tonight Show Starring Johnny Carson" (No. 12). Letterman's arch rival -- and Carson's successor -- Jay Leno, failed to make the cut. ABC's "Nightline" ranked 23rd. NBC dominated the list with 17 shows, which, besides "Seinfeld," ranged from "Saturday Night Live" at No. 10 to the Judd Hirsch sitcom "Taxi," which also aired on ABC, at No. 48. CBS made the list with 16 shows, led by "I Love Lucy" at No. 2, and boasted five other programs in the top 10, including "The Honeymooners" (No. 3), "All in the Family" (No. 4), "60 Minutes" (No. 6) and "The Andy Griffith Show" (No. 9). A total of eight ABC shows made the list, led by the late-1980s, early '90s drama "thirtysomething," while Fox had two entries -- animated sitcom satire "The Simpsons" at No. 8 and sci-fi thriller "The X-Files" at No. 37. The only other cartoon series to make the list was ABC's "Rocky and His Friends" at No. 47. Cable television was represented by just two shows -- mob drama "The Sopranos" at No. 5 and Garry Shandling's "The Larry Sanders Show" at No. 38, both on HBO. Public TV also had two series on the list -- the landmark children's program "Sesame Street" (No. 27) and the pioneering 1973 "reality" series "An American Family" (No. 32). But modern-day reality hit "Survivor" was snubbed, as were all game shows. Not even "Who Wants to Be a Millionaire" made the list. The fledgling networks the WB and UPN had to settle for one shared entry, "Buffy the Vampire Slayer," which has aired on both outlets. NBC is a division of General Electric Co., ABC is part of The Walt Disney Co., CBS and UPN are owned by Viacom Inc., the WB is a unit of AOL Time Warner Inc. and the Fox network belongs to News Corp. Ltd. In an interview for "Sunday Morning" the South Bend, Ind. mayor also talks about his marriage, and why the presidency should be a "moral office"
Amid measles outbreak, anti-vax mom defends "medical freedom"
The clothing industry accounts for 8 percent of the world's carbon emissions. So what's it doing to reduce that figure? "48 Hours" preview: "In Jason's Name"
A new episode of "48 Hours" investigates the case of a victim's sister fighting to clear her brother's name after his death. Correspondent Maureen Maher joined CBSN with more on "In Jason's Name." Watch it on CBS Saturday night at 10/9c. The Golden State Warriors rebounded from a blown lead in Game 2 to win Game 3 against the Los Angeles Clippers. Bill Reiter of CBS Sports HQ joined CBSN to break down the week's headlines in sports. Ex-FBI agent to 911: "I may have killed him"
Listen as a 911 dispatcher in Davidson County, N.C., directs Tom Martens and his daughter Molly Corbett how to perform CPR after Martens called for help the night of Aug. 2, 2015. Martens says he had to intervene in self-defense after his son-in-law Jason Corbett got into fight with his daughter. A Virginia bride asked a photographer to use the deposit for her engagement photos to take pictures with her dad instead. He had advanced prostate cancer and wanted to have a father-daughter dance with the bride before he passed.